Happy Awards Season, folks! The most wonderful time of the year is officially in full swing as the 22nd annual Critics’ Choice Awards took place last night (Dec. 11) at Santa Monica Airport’s Barker Hangar. Hosted by T.J. Miller for the second year in a row, it was a night of well-deserved victories, powerful speeches, stunning fashion, aptly timed election jokes, and, of course, some old-fashioned, bellybutton whistling. 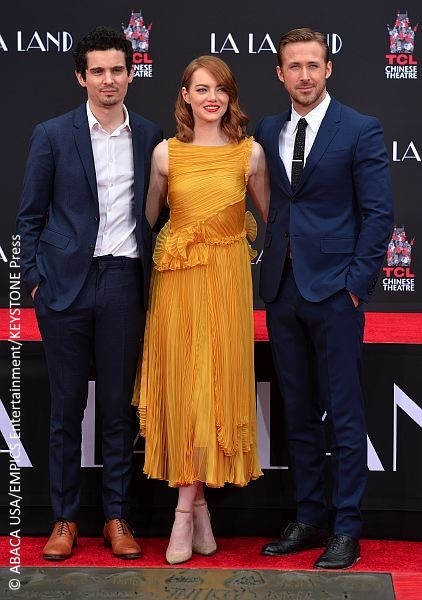 On the heels of the oft-referenced 31st anniversary of A Chorus Line, it was only fitting that the musical drama La La Land would dance away with the most awards of the night (eight in total), including Best Director for Damien Chazelle, Best Score, Best Original Screenplay (tied with Manchester by the Sea), and the most coveted prize of them all, Best Picture. Other big winners in film included Moonlight, which won Best Acting Ensemble for its cast and Best Supporting Actor for Mahershala Ali, while Zootopia won Best Animated Feature, and Natalie Portman won Best Actress for Jackie. On the small screen, The People v. O.J. Simpson: American Crime Story dominated the night, winning Best Limited Series, and Best Actor, Actress, and Supporting Actor in a Limited Series for its stars Courtney B. Vance, Sarah Paulson, and Sterling K. Brown, respectively. Ryan Reynolds spent almost as much time on stage as T.J. Miller, winning Best Comedy for Deadpool, Best Actor in a Comedy (again for Deadpool), as well as the Entertainer of the Year Award. Along with Best Supporting Actress for her role in Fences, Viola Davis won the first-ever #SeeHer Award, which honors an actress who consistently and accurately portrays three-dimensional women on the big and small screen. It’s boring, not a good movie at all and a terrible ending. Alita: Battle Angel is a beautifully realized passion project from director Robert Rodriguez and James Cameron. It's easily Rodriguez’ best film in years.